We’ve all been there. You get invited to your little nephew’s birthday party and panic when you realise you have no idea what gift to bring. Finding the perfect present to suit their age can be hard and even parents can struggle at times. To avoid this reaction, we’re here to take the guesswork out of it with a helpful breakdown of gifts for every age. 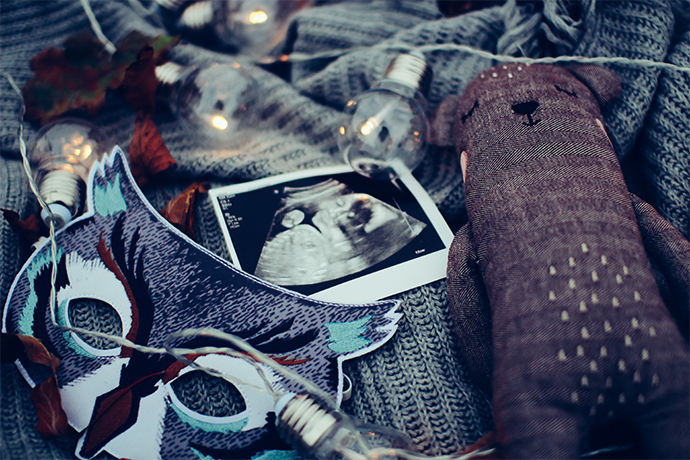 You’ll surely become their new favourite auntie or uncle in no time! Infants are fascinated by anything that appeals to their senses whether it’s sight, sound, touch or taste. During this discovery phase they’ll be drawn to soft toys, blankets, playmats and especially play gyms. But let’s be honest, they’re probably just as likely to play with the box it comes in! 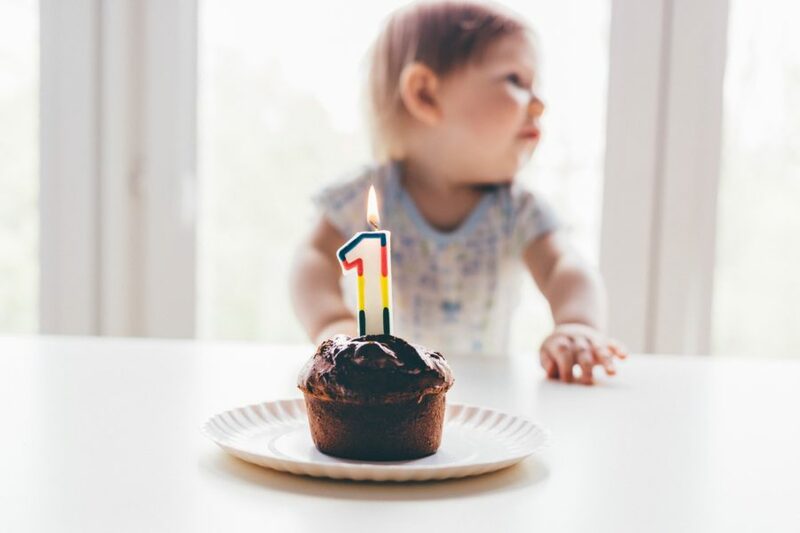 By the time their very first birthday rolls around it can feel as if they’ve grown in leaps and bounds. 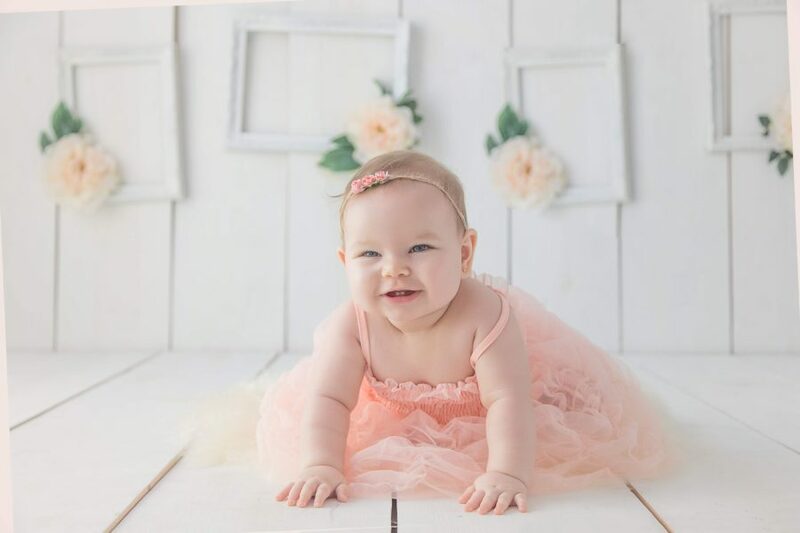 They’ve spent the last few months progressing from sitting, rolling, and crawling to now finally walking as they develop their coordination and muscle strength. Any toys they can push or pull would be the ideal gift to help them along such as our Personalised Wooden Walker or Personalised Pull Along Caterpillar. Bright and colourful gifts will always stand out but no matter what it needs to be drool resistant. If you’re looking for a more thoughtful gift, give them a unique keepsake they can hold onto forever such as our Silver Engraved Baby Keepsake Bangle. Birthday number two is a big deal to them now. They understand what a birthday actually is so gifts need to excite to them. Their inquisitive minds are all about exploring shapes and a gift just like the Personalised Wooden Shape Sorter would be the perfect challenge for them. 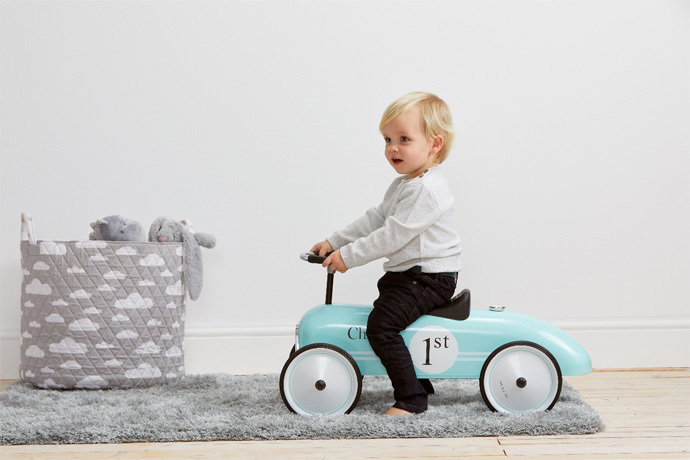 As they continue to develop their hand-eye coordination and spatial skills, they’ll love to race around on our Personalised Blue Ride On Car or have some fun with our Personalised Neutral Wooden Stacker. If it’s a pre-schooler you’re shopping for then here’s where you can really have some fun. As they begin their nursery days they’ll love finding opportunities to explore the world and let their imagination run wild. 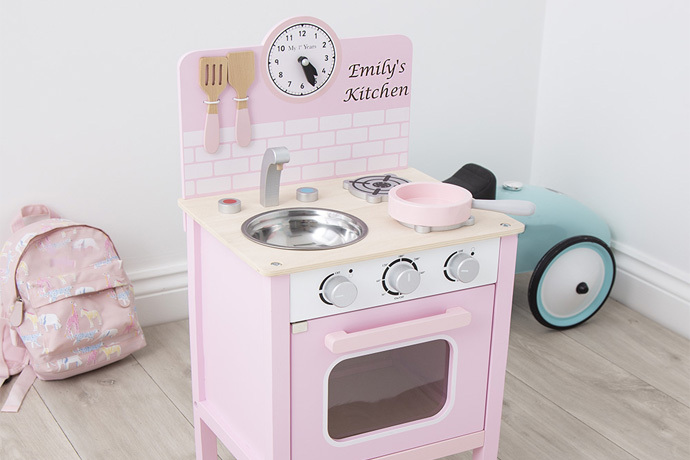 You can encourage this imaginative play with our Personalised Pink Mini Kitchen, or Personalised Wooden Cash Register Toy. Once they reach 5 years old, they start to move into big kid territory. They’re much more social now and are starting to make real friends. School has just begun and with it comes endless excitement. They’ll love a gift they can show off to their school friends such as our Personalised Backpack in Blue, Pink or Grey.